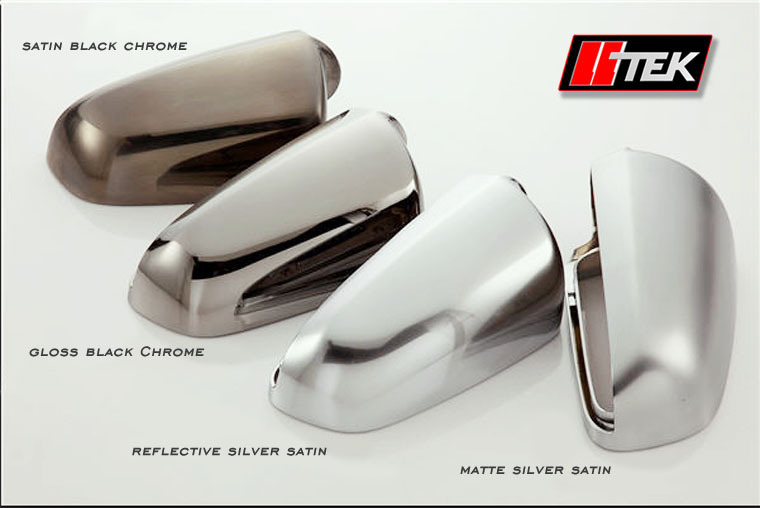 The mirror housing replacements echoe the Audi S4 soft polish metallic look and is compatible across 4 different Audi models. 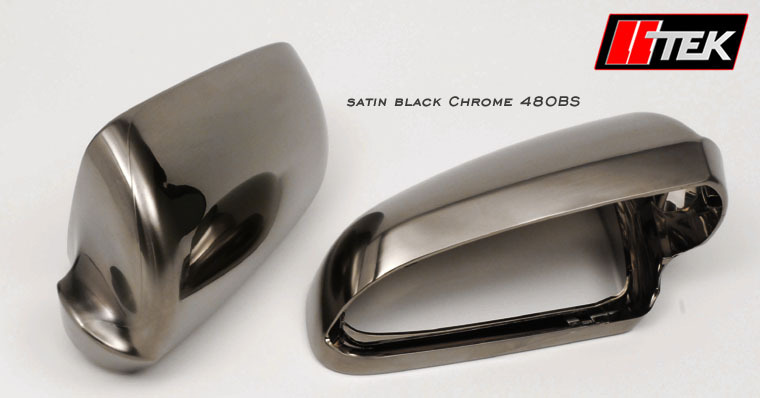 The shells are manufactured by an OEM mirror supplier and are offered with 4 choices in surface finishing. The thumnail pictures (directly below) illustrate the matte satin version. 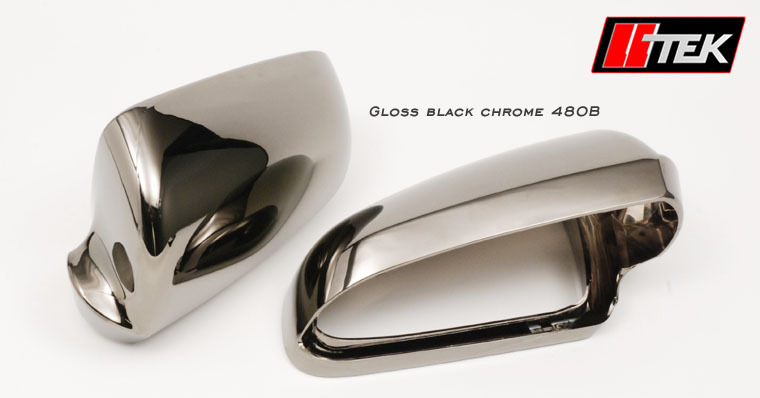 Scroll down to the pricing table at the bottom of this page to view the gloss black, satin black and reflective silver alternatives. Click on an image to view an enlarged pop-up version. 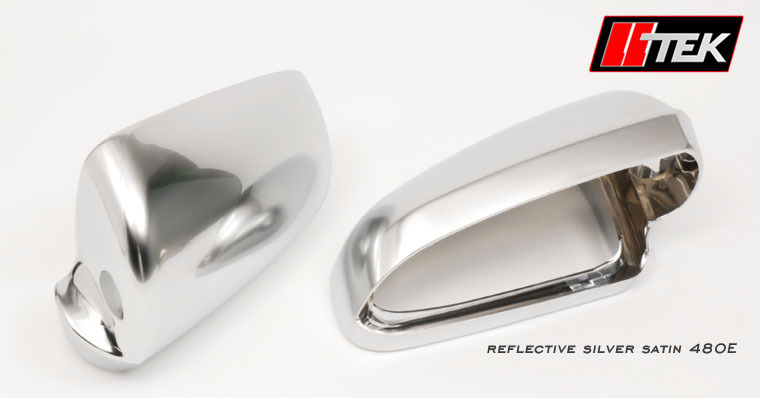 The installation process (switching out your oem mirror housing) is a straightforward replacement that requires zero modification to mirror guts. These pieces are not stick-and-glue cap over-fits; the installation will require some finesse and physical strength (a wooden wedge to pry at the mirror and bottom edge is highly recommended.) The oem housings are snug fits and will require some dexterity and measured strength to remove and require an equal amount of due diligence to achieve the inverse. If you can't change a flat tire - this project is not for you. Order now to create this special look. To reach a friendly and knowledgeable LLTeK Sales Rep - Call toll-free in North America 1 888 465 5835 or International 001 514 733 6333. LLTeK office hours are Monday through Friday --- 8:30 AM until 5:00 PM (ET) / (GMT - 5). You can contact LLTEK via e-mail with questions or a request for written quotation here!